Classic thermometers will get the job done, but if you want to take temperature reading to the next level, including keeping records and instant fever indicators, then you'll want a smart thermometer. These are the best options for you, your kids, and anybody else who wants to be healthy in your home. Our top pick is the same as the Wirecutter's because it works as both an in-ear and an infrared forehead thermometer, making it great for both kids and adults. If you want to take your sleeping child's temperature without waking them, the forehead option is gold. Other than that, you can recall the last 20 readings right on the device, calibrate it, use color indication for temperature, and you can switch between Fahrenheit and Celsius. Combined with its great app, the Kinsa Digital Smart Ear Thermometer is perfect for kids and adults, since it lets you track your temperature over time, shows your doctor's recommendations in the app, lets you input symptoms, and more. It also features an easy-to-read display, and its in-ear temperature reading is a lot more comfortable than the under-the-tongue models. 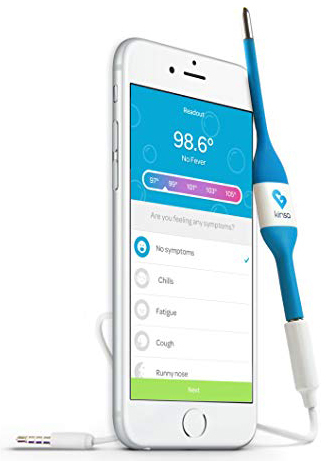 This Kinsa thermometer has a simple display and connects to the companion app via Bluetooth to give you instant fever readings, temperature records, and advice on how to proceed. It reads in about eight seconds, and it can even work as an underarm thermometer if you or your child prefers. From VapoRub to smart thermometers, Vicks apparently has you completely covered when you're ill. This oral or underarm thermometer has no display and instead shows readings in its companion app. You'll be able to record and track temperatures, and you'll invariably be given in-app advice related to which Vicks products you should take for your illness. Kinsa makes yet another appearance on this list with the Smart Stick, a thermometer that's powered by your phone via the headphone jack. It requires no batteries and gives you detailed readings in Kinsa's app, where you can also track temperature readings for the whole family, get advice on next steps, and more. This thermometer can be used orally, under the arm, and even rectally for infants. 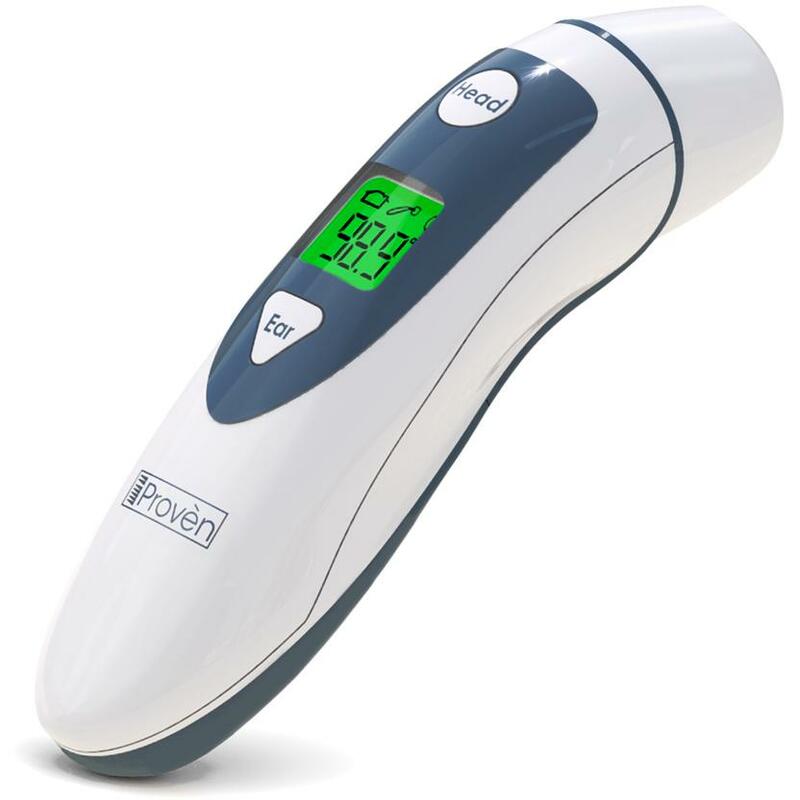 This is the most high-tech thermometer you're likely to find for consumer use, with a bright LED display that not only displays temperature readings but the names of up to eight users as well. You can keep detailed temperature histories for everyone in the family, and since this is a forehead thermometer, it's one of the most convenient methods around. For convenient temperature readings, temperature histories, fever indicators, and good advice, a smart thermometer is invaluable during times of illness. For its versatility, accuracy, and convenience, the iProven DMT-489 is your best option. And, at only $30, it's perfectly affordable compared to other non-smart options.